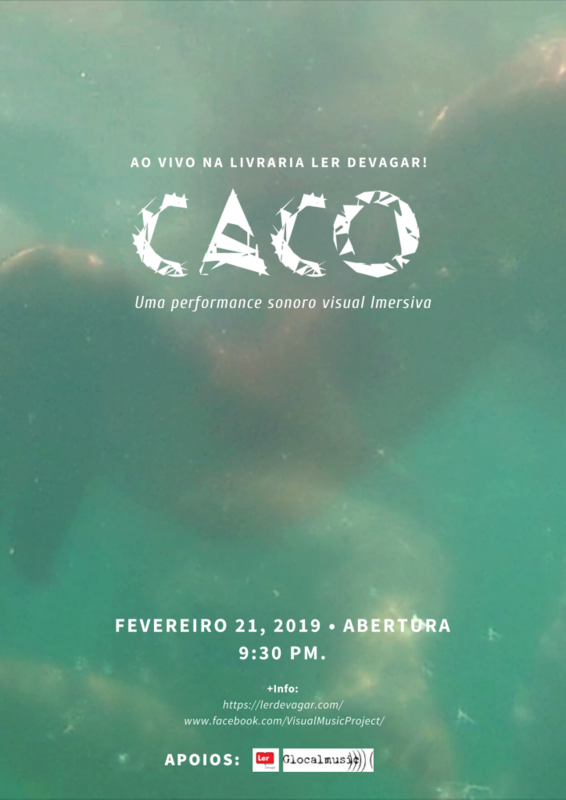 CACO is a visual music project developed from the concept of remix sounds and moving images in order to create immersive, unique and unpredictable visual sound scores to be performed at live with an electronic and electroacustic set of instruments. “Subsonic Dreams” is the last visual sound performance of the project and it as began thought the idea to use soundscapes, where water is the key element, to build an immersive journey around the process of deep listening them. It explores real-time improvisation and a film score that invites each interpreter to react, dialogue, and draw inspiration from the world that resonates with moving sound images.